Your Diamond Letter Disc Pendant not only comes gift-boxed, but with it's own polishing cloth to keep it looking beautiful! -The displayed price is for letters that have the least number of diamonds. 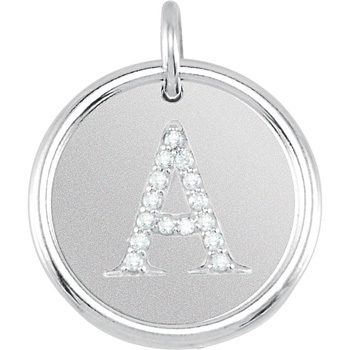 Each pendant is a different cost depending on how many diamonds make up your chosen alphabet letter. Contact Us for 14kt yellow gold and 14kt white gold pricing.